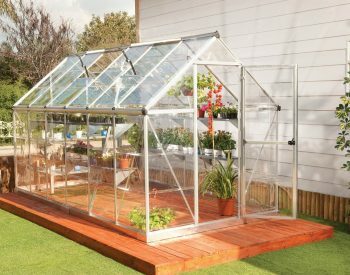 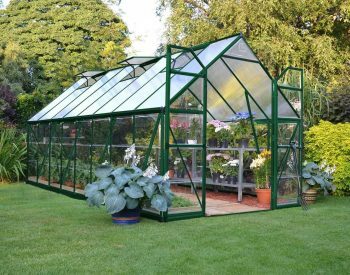 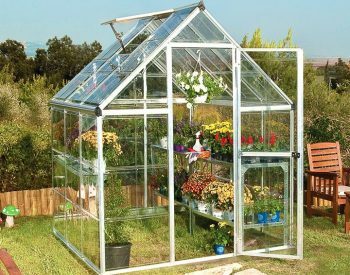 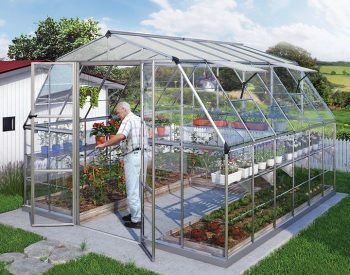 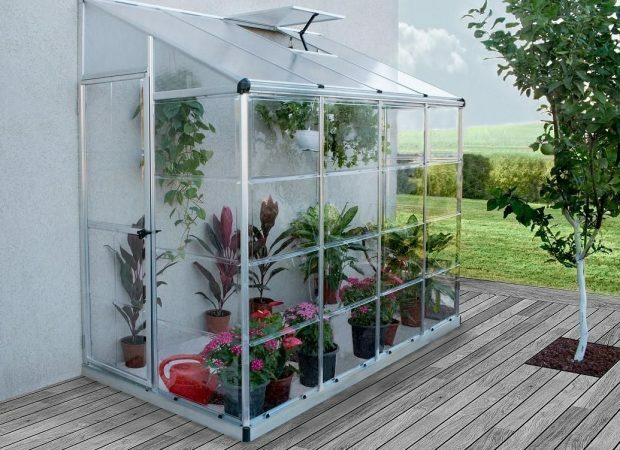 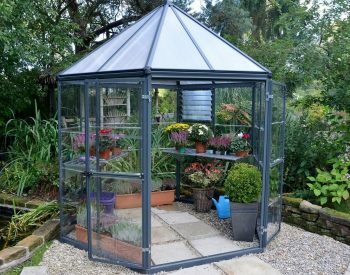 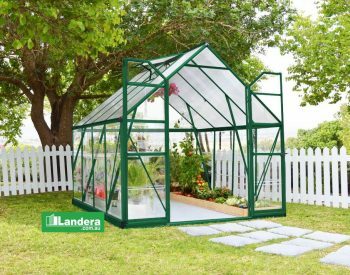 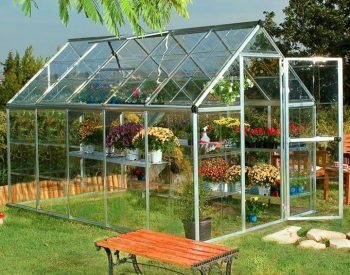 The Lean To Grow House provides you with all the key advantages of a hobby greenhouse for compact sized gardens or limited spaces such as balconies or patios, to grow your own organic herbs and vegetables. 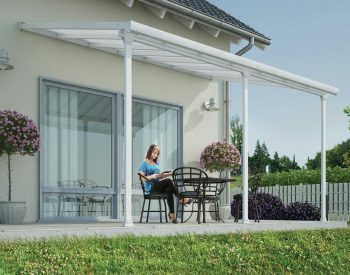 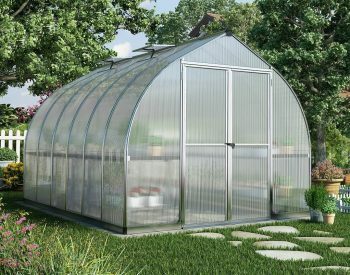 It features two types of virtually unbreakable Polycarbonate glazing; twin-wall for the roof and crystal-clear for the walls, and corrosion resistant aluminum frame. 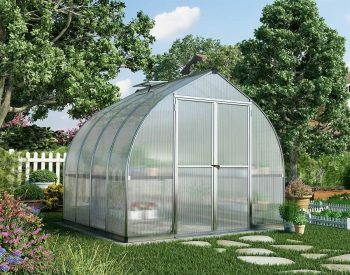 It also includes an adjustable roof vent for improved air circulation, gutter and gutter heads for water collection, a wall mounting kit, and a galvanized steel base to ensure a durable and stable product. 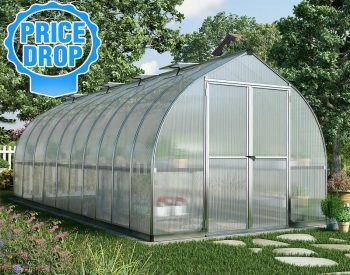 The Lean To Grow House provides you with an aesthetic, functional and sturdy structure for many of gardening use. 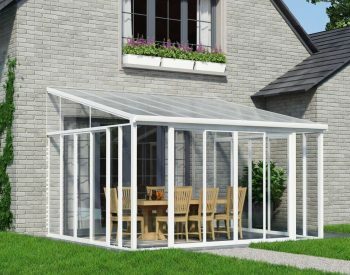 With increased wall height to allow plenty of room to move and walk around inside.